'If a man does not keep pace with his companions, perhaps it is because he hears a different drummer. Let him step to the music he hears, however measured or far away.' Disdainful of America's growing commercialism and industrialism, Henry David Thoreau left Concord, Massachusetts, in 1845 to live... read more in solitude in the woods by Walden Pond. 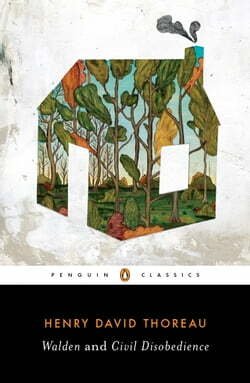 Walden, the classic account of his stay there, conveys at once a naturalist's wonder at the commonplace and a Transcendentalist's yearning for spiritual truth and self-reliance. But even as Thoreau disentangled himself from worldly matters, his solitary musings were often disturbed by his social conscience. 'Civil Disobedience', expressing his antislavery and antiwar sentiments, has influenced nonviolent resistance movements worldwide. Michael Meyer's introduction points out that Walden is not so much an autobiographical study as a 'shining example' of Transcendental individualism. So, too, 'Civil Disobedience' is less a call to political activism than a statement of Thoreau's insistence on living a life of principle.